“Wait, let me take a shelfie.” A shelfie is a bookshelf selfie! Capitalize on this trend in the classroom to get students hyped about reading. Use this trend of ‘shelfies’ to excite young readers in your classroom – by getting them to share and recommend great books in their personal libraries. What a fun way to help your students develop their reading identity and establish themselves as a community of readers. Ask your students to take a #SHELFIE of their home libraries. Create a photo display of your students’ shelfies, and facilitate discussions between peers. 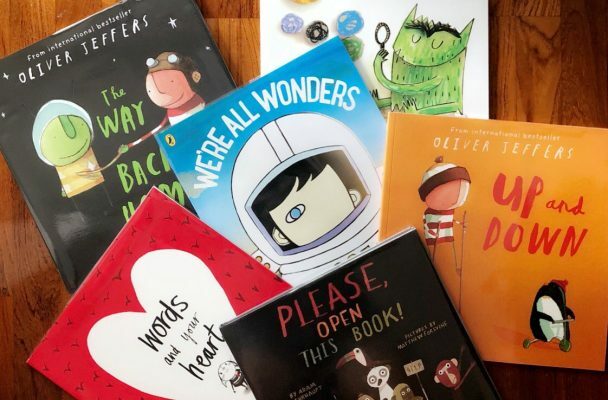 Encourage them to make statements like, “I can see that you’re the type of reader who … (likes adventure books / likes Oliver Jeffers / likes graphic novels).” Having learners discuss or comment on each others shelfies helps create a sense of community identity. This is just one of many ways you can help students develop an awareness of their peers as readers. Use post-its, blogging or make connections through group discussions ~ up to you! Create a ‘Community Book Shelf’ in your classroom. Create a space where students can bring in books from home to recommend and share with others. Allow kids the opportunity to ‘book talk’ their recommendations before adding them to the community shelf. Consider setting aside a whole week for the initial launch of your community book shelf. In your mini-lessons, you might model how to deliver engaging book talks and set-up strong routines and expectations for exploring friends’ books. Use books from the community book shelf for mini-lessons in Reader’s Workshop. Students love seeing books from their home libraries being used to teach others. Encourage students to create self-directed book clubs to discuss books from the community shelf! See our article “Low Prep Beginner Book Clubs” to get you started. Share how this idea worked for you in a comment below! We love to hear about fun activities and initiatives you use to get your students engaged in reading!